Today we showcase an exciting and a pioneering technology startup from Australia, Emotiv Systems - Control Gameplay With Your Thoughts, Expressions & Emotions. It is co-founded by Nam Do, Professor Allan Snyder, Dr. Neil Weste and Tan Le, president of Emotiv Systems. - Please tell us about yourself, your background and interests? Before joining Emotiv, I, along with Emotiv Systems CEO, Nam Do, co-founded and ran SASme, a pioneer in providing SMPP platforms and one of the companies responsible for the creation of Australia's SMS application market. I’ve also worked with one of Australia's leading law firms, Freehills. In 1998, I was named Young Australian of the Year and voted one of Australia's 30 Most Successful Women Under 30. I graduated with a Bachelor of Commerce and Bachelor of Laws (with Honors) from Monash University. I also was a Goodwill Ambassador for Australia in Asia, and a Patron of the Australian Youth Ambassadors for Development Program. I’ve been an Ambassador for the Status of Women since 2001, and I’ve also been appointed to a number of Boards, including Plan International Australia, Australian Citizenship Council, National Committee for Human Rights Education in Australia, and RMIT Business in Entrepreneurship. - Please tell us about your venture/company? Founded in 2003, Emotiv Systems is a pioneer in brain computer interface (BCI) technology. Its mission is to create the ultimate interface for the next-generation of man-machine interaction. It does this by evolving the interaction between human beings and electronic devices beyond the limits of conscious interface. Emotiv creates technologies that allow machines to take both conscious and non-conscious inputs directly from the brain. These technologies include a hardware and software platform that is being licensed to application developers and other third parties worldwide. We recently announced the world’s first consumer neuroheadset, the Emotiv EPOC™ as part of a complete product offering for consumers. Emotiv is headquartered in San Francisco and has R&D facilities in Sydney, Australia. - What is your key-product? Our key-product is the Emotiv EPOC, a neuroheadset that allows players to control gameplay with their thoughts, expressions and emotions. The notion of brain-controlled gaming has long been a dream and a goal of the gaming industry. The Emotiv EPOC is a high-fidelity neurosystem and is the first affordable, wearable, neuroheadset specifically designed for the video gaming industry. Engaging, immersive, and nuanced, Emotiv-inspired game-play will change the face of electronic gameplay by making it possible for games to be controlled and influenced by the player's mind. The Emotiv EPOC will include the neuroheadset, game content published by Emotiv that showcases the unique features of the headset and access to the Emortal, a next generation online portal that unleashes the full potential of the headset. Consumers can also experience any of their favorite PC games through the neuroheadset, by using the Emotiv EmoKey, which allows the user to link any detection to any action in the game. - Who are the people behind this and how it started? 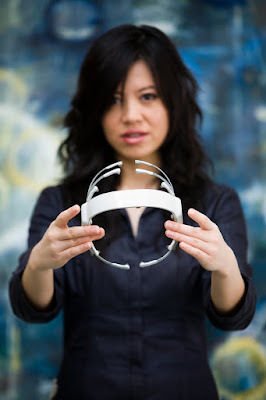 Emotiv was founded by four people: Nam Do, Professor Allan Snyder, Dr. Neil Weste and myself. Nam is our CEO and his background is strategic planning and management and he’s also an expert in IT and multimedia. Prior to forming Emotiv, Nam co-founded and ran SASme together with me. At the age of nine, Nam was selected to join a special program in mathematics and physics at the National School for Gifted Students in Vietnam. In 1995, Nam won one of Vietnam's most prestigious scholarships for study abroad. In 1996, Nam came to Australia's RMIT University under a scholarship program for students with exceptional academic ability and leadership potential. Nam was honoured in SmartCompany’s list of Australia’s Top 10 digital entrepreneurs in 2007. Prof. Allan Snyder is an internationally known and recognized neuroscientist. He has been concentrating his energies on this field for the past 20 years. In 2003, he made a major scientific contribution by demonstrating that it is possible to access the non-conscious mind by turning off the conscious mind using trans-cranial magnetic stimulation. He was also the first to describe the way light travels along optical fibres, thereby paving the way for today's worldwide telecommunications network. This historically significant contribution earned him the 2001 Marconi International Prize, the "foremost prize in communication and information technology." He also received prizes such as the 1997 International Australia Prize, the 1996 Massey Prize and medal of the British Institute of Physics and the Thomas Rankin Lyle medal of the Australian Academy of Sciences. Dr. Neil Weste is one of the most successful engineers/entrepreneurs that Australia has ever produced. In 1977 he started his career at Bell Labs, where he worked on early VLSI design tools (i.e., the MULGA suite), and he went on to become the head of the entire Bell Labs VLSI Department. Neil is a pioneer in chip design. His book, The Principle of CMOS and VLSI Design, was the first book on CMOS design and is now considered the bible for all chip designers around the world. It all started when Nam, Allan and I sat together at a dinner talking about Allan’s research he was doing with autistic people. He talked about the conscious and the non-conscious part of the human brain. We talked about the way how humans interact with computers and thought it would be incredible if the next generation of human beings would not only be able to communicate with machines on a conscious, but also on a non-conscious level. This would create a far more natural, intuitive and rich experience for the user. And this became our mission: To create the ultimate interface for the next-generation of man-machine interaction. - How long it took before it was up and running? Our company was found in 2003 and we announced the final form factor of the Emotiv EPOC in February 2008. - What services it provides it for consumer or customers? The Affectiv™ Suite monitors players’ emotional states in real-time, providing an extra dimension in game interaction by allowing the game to respond to players' emotions. It can be used to monitor players’ state of mind and allow developers to tailor difficulty to suit each situation. Second, the Cognitiv™ Suite reads and interprets players’ conscious thoughts and intent and can differentiate between multiple conscious thought commands. The Cognitiv suite reads the player’s thoughts and intent, such as lifting an object, and sends commands through the API to levitate the object in the virtual world. Third, the Expressiv™ Suite uses signals measured by the neuroheadset to interpret players’ facial expressions in real-time. It provides a natural enhancement to game interaction by enabling game characters to mirror the reactions and expression of the player in real time, including complex non-verbal expressions. - What type of customers are you targeting? Emotiv is currently focusing on developing solutions specifically for the electronic games industry, its solutions will enable games to respond to the players’ emotions and expressions, and allow players to manipulate objects in the game using the power of their thoughts. This entirely new interface will dramatically change the gaming experience by making it more immersive, intuitive and personal. - How many people are using your services? The Emotiv EPOC will be launched in the US by the end of the year 2008. So far, we’ve already received several thousand pre-orders for the headset. Since the announcement of the Emotiv development platform as an open standard, we have received more than 1,500 downloads of the Emotiv SDKLite™ - a free, downloadable tool that provides developers with a complete development environment to take advantage of, and integrate seamlessly with, all the functionalities and features of the Emotiv EPOC. - What sort of marketing you are using to spread the word? Emotiv has developed a very well rounded marketing strategy and plan, utilizing a variety of tools online and offline to reach our targets. For example, through the Emotivate page and the EPOC fan page on Facebook, we have over 500 friends. Additionally, we’ve built a very content rich website for consumers and developers to understand what the company is doing. We are engaging the developer community directly through a media-rich e-newsletter and have a multi-faceted PR campaign incorporating several different markets. - What government resources have you used to help your business? And have they made an impact? The Australian Federal Government's Commercial Ready Grant contributed to the funding of breakthrough research activities in Australia. - Have you sought any funding? We have raised $13.4 million to date. - Which are the main competitors or major players in this market segment? There are no other companies in the market that created a BCI with a similar performance as the Emotiv EPOC. Thanks Tan for sharing your thoughts with us. All the best for future. Today we showcase an exciting and interesting startup from Melbourne, Australia, 2Vouch - a social recruiting site that helps employers and recruiters find hard to reach people. It is founded by Riges Younan. I am currently founder and CEO of 2Vouch a Social Recruiting site. I have over 12 years of professional executive search and recruiting experience gained in Sydney, Melbourne, London and New York. I have been responsible for the successful launch of five start-up recruiting offices for various firms as well as the development and deployment of sophisticated sourcing techniques & processes that lead to superior results for clients. I bring deep industry knowledge and extensive sales, marketing and management experience to 2Vouch. 2Vouch – vouching is what we are asking our members to do when they recommend someone they know and trust for a job. 2Vouch is a social recruiting site that helps employers and recruiters find hard to reach people. It uses social networks to provide referrals to people who would consider a better opportunity if it is presented by someone they know and trust. Customers pay 2Vouch for successful placements, and 2Vouch rewards the referrer with cash incentives. Over a decade of executive recruiting experience has clearly shown that referrals are the best source of talent. Many firms having informal internal employee referral programs and every professional has received calls saying “Hey, I’m trying to find an xyz person, do you know anyone?”. The process, technology and tracking of those referrals, however, were ad hoc and inefficient. So we decided to help solve the problem of sourcing people in talent-short industries (like IT, engineering, etc) by building a web based system that uses referrals, social networks and rewards to bring employers & recruiters together with “passive candidates” automatically, quickly and cost effectively and 2Vouch was born! About a year ago I met Jeremy Samuel via a ‘referral’ and after an hour lunch we decided to work together, Jeremy has made a extraordinary contribution to building 2Vouch and we make a great partnership. Jeremy brings over 11 years experience in marketing, sales, product and project management and consulting in the information technology and telecommunications sector. He has launched three start-up businesses, delivering large scale projects, business strategies and has been responsible for selling complex technology solutions to leading corporate clients. Jeremy has a Master of Science in Cognitive Science and an MBA. 2Vouch was incorporated in September of 2006 and is due to launch in July 2008. 2Vouch offers employers and recruiters the ability to reach passive candidates who come with personal recommendations. We deliver wide distribution of their job listings through blogs and social networks and provide tools to review and manage referrals. Best of all, client’s pay nothing until they hire or place someone. For professionals, the offer is cash rewards (and enhanced social capital and network standing) for referring people they know and recommend to job opportunities. We allow members to automatically track their referrals and payments, manage their contacts, show interest in positions and apply directly if they wish. The system allows referrers to donate some or all of their referral reward to a charity of their choice. Companies wanting to hire skilled and professional talent, and recruiters looking for the same talent for their clients. Our focus initially will be the ICT community. 2Vouch will be promoted primarily on line via email, pay-per-click advertising and content distribution to a wide range of publications and blogs. The online promotions will be supported by a tiered publicity campaign that will focus on reaching key influencers directly, providing targeted relevant stories to industry specific publications and general publicity to the business press. We have also built partnerships with key associations, charities and business schools. Our platform is written in Python under the Django framework. We use a range of open-source development tools and databases along with some key commercial tools. We have a mix. 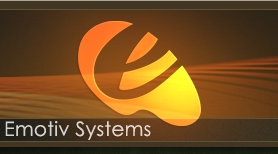 Some of the platform runs on Linux and some tools use Windows. Our main database is on PostGRE. My view is that there is a major gap between the 3F / Angel round and the VC round when seeking funding in Australia. This is a very challenging growth stage and access to sufficient capital to get to scale and compete with global offerings is challenging. I attended the Aussie top 100 Web 2.0 apps launch in Sydney recently, and I came away with a very reassuring sense of community with the Web 2 space. There are some very interesting businesses being built in Australia that are world class. There seems to be a great willingness among web2-preneurs at various stages to share ideas, lessons and information to help the community as a whole develop. Let’s hope that the investment community backs theses ventures. Talk to customers first, understand their problems, find out how much they would pay to solve that problem and then try and solve it. Fail fast, cheap and iterate. • Any women business partners? Received a COMET grant. Then self funded. Yes and we are about to announce some high profile people joining our team very soon. Thanks Riges for sharing your thoughts with us. All the best for future. We have been getting some feedback on and off from some friends/readers that our interview questionnaire is too long and in some cases not well researched. Today we received another feedback on similar lines. So we decided to ask our readers via a poll to tell us bit more about how the interview should be constructed and how many questions ideally should be there, so the people who are replying to these questions don’t feel like giving an exam. The poll is on the Right Hand Side of this portal, which closes on July 7, 2008. Intresto Pty Ltd. The name is derived from “intelligent rearrangement of stone”, something people have been doing for thousands of years but only now do we have the computing power and computer science techniques to allow software to take over the difficult part of the procedure which is the 3d geometric shape fitting of irregular objects. A self-funded tech start-up company developing software for use in the construction industry. I am the sole owner and director. I worked for some years as an atmospheric physicist with the Australian Antartcic Division where I gained experience with the measurement and analysis of geophysical properties. I then built a house in Tasmania, party out of irregular pieces of stone, and realised there's a problem builders have had for thousands of years and only now do we have the tools to solve that problem. So I set about to develop software which could mimic the way a stone mason builds a drystone wall. Studied physics at UNSW then worked in Narrabri, Antarctica, Tasmania and Germany as an atmospheric physicist before changing careers to inventor/entrepreneur. Company incorporated in January 2007 and the project is still in the R&D phase. The main objective is to use computational power rather than industrial power to help build durable structures from locally sourced raw material. To do this Intresto is developing software which will automatically fit together a collection of irregular polyhedra into a regular shape according to general rules of structural stability. The software, interfaced with appropriate scanning hardware, will increase the viability of unprocessed stone as a building material. Unprocessed stone has been extracted from a quarry after blasting but hasn't be subject to any sort of cutting, grinding or heat treatment. It is a very low embodied energy material meaning very low levels of energy are required to produce it. Used as a building material its production results in about 1/10 the greenhouse gas emissions compared to processed and manufactured products such as dimension stone, concrete and brick. The production of just one product, concrete, accounts for 5% of the world\'s greenhouse gas emissions. If unprocessed stone can be used instead of concrete in the construction of sea walls, river levees, landscaping, houses, etc. then it will play an important role in reducing greenhouse gas emissions. The aim is to provide designers and architects with a tool which will make it easier for them to specify a very low embodied energy building material. The software will allow builders to use a cheap, in-situ building material in a wide range of projects. The software will also allow engineers to design and analyse large civil engineering structures constructed from unprocessed blocks of stone each weighing many tonnes. Civil engineers, architects, building and landscape designers, builders, coastal protection authorities and the back-yard landscape artist. The manufacturers of building products such as concrete blocks and bricks. These are often very large companies which have the difficulty of differentiating their products due to the low-tech nature of their industry. Proprierty software developed by Intresto and a purpose-built 3D scanner using opto-electronics componentry. 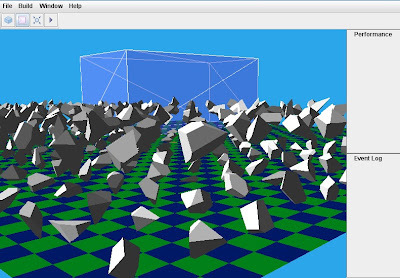 “Blender” open source 3D graphics and animation package. Takes a while to learn how to drive it but it's free and great for producing animated clips to demonstrate potential uses of emerging technologies. Yes, in particular the Java development tools. Also open source applications like the Gimp and Open Office which are good to keep costs down when starting up. Java based application is being developed to enable the software to be used across platforms. About once per month in the Sydney CBD I meet with other tech start-up entrepreneurs at the informal Open Coffee meetup group. It's easy to start but if I wasn't self-funded for a while I would find it very tough to keep going. Might have to ask me in a couple of years how tough it is to be successful. Have you sought any funding? I often use the government subsidised seminars and workshops at the local Business Enterprise Centres which are very good for people new to the world of business. I have made one unsuccessful R&D grant application but will apply again. Definitely reintroduce a broad-based R&D grants scheme to replace Commercial Ready which was scrapped in the recent budget. • Any external funding – from VC, Govt, Self funded? Thanks Malcom for sharing your thoughts with us. All the best for future. Today we showcase an exciting and interesting startup from Sydney, Australia, Sticky Tickets - an online ticketing and event registration web portal. It is co founded by Matt Freedman, J ay Gaibisso and Dany Gruosso. I’m Matt Freedman and I’m the CEO of Sticky Tickets, an online ticketing and event registration web portal. We are based in Sydney, Australia and our site currently services all of Australia. 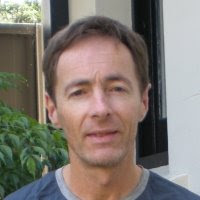 I am also the Chairman of eMarketing business Redback Solutions which I founded in 1999. The business was co-founded by myself and Sydney entrepreneurs Jay Gaibisso and Dany Gruosso. Jay hired the IMAX during the FIFA World Cup in 2006 to watch Australia v Brazil but couldn’t find a simple to use, self service online system to handle the ticket selling and payments so brought on Dany and myself to help him develop and realise the idea. • How long did it take before it was up and running? 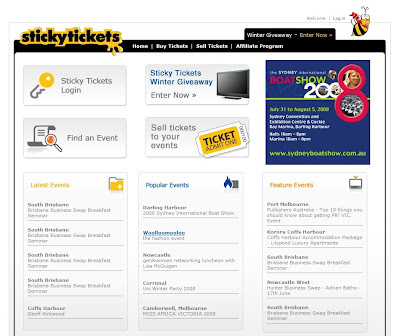 After initial planning and developing the idea through late 2006, Sticky Tickets was formed in early 2007 and the site was launched in July 2007. The actual development time was only around 4 months once the market research was complete and scope of the functionality of the site was developed. • What service does it provides for consumer or customers? 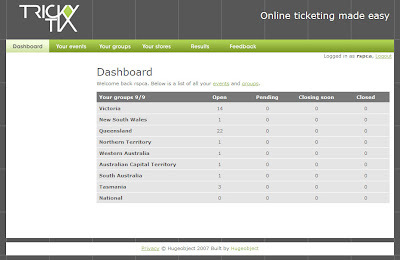 It allows anyone that is running an event to sell tickets to it or handle registrations. We’ve created a very simply process of joining up as an organiser for free, creating and listing your event, marketing you event and managing the ticket sales, ticket delivery and invoicing. It takes all of the admin nightmare out of the ticketing process, so event organisers can their time on the higher value tasks of managing and promoting their event. It can be used for a very diverse range of events from business lunches, charity events, fashion shows, movie nights, theatre and even for private events where someone just needs to collect money from the other attendees, like a birthday or bridal shower. Most importantly it add eCommerce facilities to organisations that not in a position or don’t want the hassle of building their own payment gateways into their websites. It doesn’t matter how big or small your event is. We have had people use for a 4 person dinner, through to the Sydney International Boat Show who will have thousands of people buy tickets online. We have hundreds of event organisers current using the site with new organisers joining everyday. There are thousands of registered members buying tickets through the site daily, many of which are return purchasers and use the site as a what’s on for local events. Much of our marketing has been through targeted online advertising such as Google Adwords. We have also implemented a very successful word of mouth campaign and increase the spread of this with a referral program. Our organisers are our best salespeople, spreading the word for us. We are finding that our rate of growth is accelerating as we bring on board more organisers. For free events, there is no charge at all. If we process a credit card, we charge a small transaction fee that the organiser can choose to include in the ticket price or add onto the ticket. It is a low margin, high volume business. 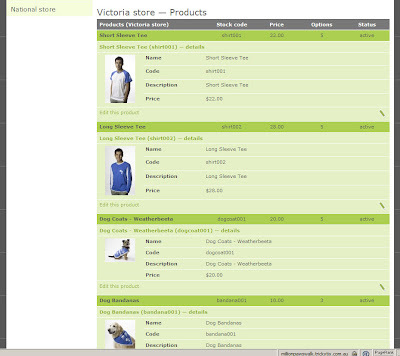 The site has been built using ASP.NET and MS SQL. The site utilises an infrastructure that can handle massive growth with any decrease in performance. The site itself has been custom built to handle the specific (and changing needs) of our market. 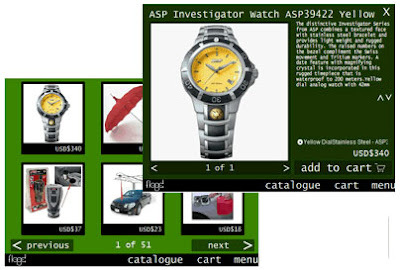 In other areas of the business we utilise as much off the shelf software as possible. Salesforce.com has probably been the most useful out of the box solution for handing enquiries, opportunities and customer support. Being an entrepreneur is great!! I love it. But it is certainly a personality type. The main thing to consider when being an entrepreneur is that you are going to have to work hard, you have to try and focus on one idea at a time (because the ideas just keep coming) and once you have got the idea off the ground, you need to hand over the control or management to someone who is better suited to the details of day to day business management. • What Government resources have you used to help your business? And have they made an impact? Have you sought any funding? I’ve found as an entrepreneur, the amount of time and paper work to get any sort of government assistance is usually counter productive and it’s easier just to do it yourself and do it the way you want to do it. Private funding is much more successful and available. We have several private investors that have contributed funds and expertise to enable us to get the business off the ground and continue to grow it. • Do you have any advise for people who want to start their venture? Try and learn as much as you can before you start doing anything. What ever your budget is, half you revenue forecasts and double the time frame. If you can still make it viable, then its worth a go. Look for ideas that can run on autopilot, ie use technology and outsourcing to deliver the product. Stay away from service based models (ie selling hours for $). You aim should be to grow the biggest income generating business with least amount of people. Most people try and grow the biggest business employing the most people. • Any suggested reading material? Secrets of Internet Entrepreneurs Exposed, Dale Beaumont – it features me, so I’m a bit biased, but it also has some great stories and ideas from 13 other internet entrepreneurs. The E-Myth, Michael Gerber – an oldie but a good. Set up your business with automated systems and the end goal in mind. The Tipping Point, Malcolm Gladwell – all you need is a social epidemic to make an average business into and exceptional business. Anything from Seth Godin – he is truly the permission marketing guru. In our ongoing coverage of startups coming out of Australia and interviews with CEO's, Media Personalities, Philanthropists, and VC’s, today we showcase a successful venture and an exciting entrepreneur Ben Barren, co founder of Gnoos - Australia's Largest Blog Search Engine for Consumers and Enterprises. • What is the name of your company, the people involved, and can you provide some background on the venture? Red Lion Ventures Pty Ltd owns Feedcorp Pty Ltd and Gnoos Pty Ltd. Red Lion Ventures was co-founded by Michael Leone and Ben Barren. The business has doubled revenue in the last 3 quarters so we’re hitting a real growth spurt. In early 2005 Michael and I believed there was a great opportunity around enterprise RSS; This is when companies such as Feedburner, Newsgator and Technorati were flourishing and sites using RSS like MyYahoo, Flickr, and Delicious started to thrive. We wanted to localise this opportunity. Feedcorp deals with our enterprise customers in the community arena. Gnoos relates to our Aussie blog search engine in the consumer space, whose business model is a mirrored deployment of the index running intelligence and syndication offerings for our clients who want to track when their brands and topics of interest are mentioned on Aussie blogs and twitter feeds. In November 2007 the business also brought in Peter Burley as Shareholder + CEO of Feedcorp as an experienced media, online and management professional. Pete has previously worked setting up Fairfax Digital, ninemsn, and Vividas. Our fulltime headcount has grown from 4 employees to 9 with the majority of those (6 FTE) being in engineering, as well as hiring an experienced CEO Peter Burley. Gnoos has the largest index of Australian blogs and media RSS feeds – currently indexing 150k feeds : Which it then uses the power the Gnoos blog search engine to provide Australian blog only results; The unique business model is that blue chip Australian companies pay to access the blog and social network intelligence from the data, which includes when their company and product names were mentioned. Gnoos also powers extensive content syndication for large media companies wishing to publish popular Australian blogosphere content. Clients log into a custom branded web based secure extranet with their own branding and set of topics and keywords. This is a unique offer in the intelligence and content syndication space. By indexing 150k media and blog sources, gnoos indexes far more content sources than competitor offerings. We aim to grow this to 1m feeds within 6 months, at which time we aim to have a new consumer version of gnoos (finally) available, as well as a developer API so they can mashup the Aussie blogosphere and widgetise the content. Blog search in itself is not a business, as technorati proved. Blog search didn’t solve a real problem, and didn’t package up a digestable RSS product in the way FriendFeed or Dave Sifry’s new Offbeat Guides seem to. • Please define metrics for success for your business? We look at traditional business metrics : Proposals out to market; Percentage likely to close and Forecast Revenue and Cashflows, with tracking of expenditure against this. It was important our business was already due diligence ready with audited financials, and appointed accountants and lawyers. You need to be always ready. We are on track for over $1m in revenue for CY 2008, with more than half of that revenue locked in. Since Facebook hit mainstream adoption, brands realise they need to have a social networking and web 2 product in their portfolio. We are looking to go to the next level of the business through launching a new version of gnoos, an API for the Australian blogosphere, and extended enterprise offerings in the user generated content syndication and intelligence space. Acquired companies such as Pluck.com bought by Demand Media for $75M and Sphere.com bought by AOL for $25M-$35M - who have similar offerings - show there is a market for the enterprise intelligence, syndication and community offerings we currently offer and want to develop further. The business was self-funded by Family and Founders for the first 2 years through the use of a $200K debt facility. Feedcorp did a Series A Angel round of around the same amount in May 2007 incl co-founder of Hitwise Adrian Giles, plus high net worth individuals and is currently raising $800K for its Series B round, of which one quarter is subscribed and is in advanced discussions to close the remaining amounts. So it’s taken us about $500K to get us to where we are, over 3.5 years; Which is a lot cheaper than what it cost to run a digital business in the dot-com period. But it’s not peanuts and good engineers, designers and project managers are all $80-$120 per hour cost lines, even with the benefit of equity and working on cool cutting edge projects. Unfortunately the banks in Melbourne pay engineers a lot of money to keep their online banking online, and a 9-5 job can be quite attractive to some people. Which is unfortunate because a lot of technical people’s skills are only getting semi-up to date by the programming they do on their own projects at night. • What services do you provide for customers? After 3 years of operations in the web 2.0 space, through trial and error, we have learnt what products customers will pay for, that we can deliver and scale, with good economics : That being powering online community and user generated content for media companies. As well as providing syndicated user generated content from the Australian blogosphere. Further, financial institutions and other blue chip brands are paying for our social networking intelligence offer, which provides them with a hosted secure extranet webpage where they can track if their name is mentioned on Aussie blogs, twitter and social networks. Demand for these 3 products (community, content syndication, social network intelligence) has grown rapidly with revenue for the last 3 quarters doubling quarterly; $54K (Sep 07 quarter) to $96K (Dec 07 quarter) to $209K (till March 08 quarter) - The intelligence and syndication products are driven by the investment we made in the gnoos.com.au blog search engine. The benefit of Series B investment will be ability to upgrade the back end RSS infrastructure, as well as expand the sales pipeline, which at the moment is well over $3m. Customers we’ve worked with include large publishers such as business units within News Ltd, PBL Media, large media companies, digital agencies and online startups in high value verticals. We’re currently seeing the most demand in media, travel, automotive, financials, classifieds, and sporting clubs. Personal and company brand building using blogs, twitter, talking at conferences and interviews like this ! The most important marketing however is to traditional decision makers who read BRW + AFR, but are high unlikely to use Twitter or Facebook J For these people, our CEO Pete Burley and myself have done over 60 meetings with a qualified sales pipeline of over $3m. In these meetings a lot of time is spent educating clients about social media, and what types of tools they can use to participate in the conversation. You can’t beat hitting the pavement, day in, day out. We try and use well presented documentation that clients can understand. We also spend a lot of time with investors, where we do similar explanation of our business, with more of a focus on the business model, expenditure requirements and competitive scenario. • What is the monetizing/revenue model? Gnoos draws its revenue from setup and licensing revenue from its (hosted) intelligence and syndication offers. It also through Feedcorp offers a complementary community offering so a clients end user can create conversations around the syndicated content. Setup fees average $25K for intelligence and syndication; Up to $150k for community projects. Ongoing licensing fees are $2500 to $10k per month depending on the offering. 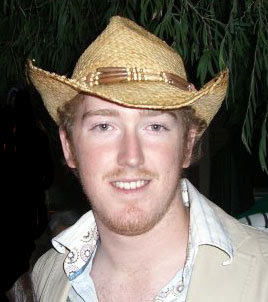 Gnoos is the only blog search player with a dedicated index of Australian and global blogs and feeds. Neither google or technorati index Australian blogs solely. And other Australian offers don’t index globally. Indexing RSS is very hard though and we aim to major upgrades to the number of blogs we index (from 150k to 1m), the way in which the content is categorised (our enterprise clients want to slice n dice the data by location as well as product/brand name mentions) So we’ve got lots of work to do and to date our team of 6 engineers has been focused on the paying projects. So it’s a balancing act between back end investments and front end client work. While we are just based in Australia presently, the same “localisation” issue applies to every other country such as UK, Germany, India, US, Singapore, Japan etc – So these are attractive markets for us, the same applies in the online community tools provision (+ blog syndication) where large publishers such as UK newspapers want to syndicate local content and embed tools in their sites. But we’ve definitely learnt we don’t want to be a Web 2.0 web developer, nor are we trying to be ning.com or google alerts. Overall the blog search space is being subsumed in parts by google.com’s universal search. As a result, while blog search is important to Feedcorp, the next version of the site will be focused on having the most popular browseable blog (and mainstream media content) and the ability to filter it by location and topic, as well as personalise it. Unlike newspaper websites the next version of gnoos will have the ability to subscribe and personalise, as well as search. The original vision of gnoos was heavily focussed around the ability to use RSS to subscribe to feeds, topics, peoples and locations you are interested in, then when you login next time receive updates on what you have expressed interest in. It just happened that Search was the first feature we bit off. If you use google reader, the experience will be similar to this, however your feed reading will be setup and you just add and delete feeds, topics and locations you are interested in. Further, the ability to “share” and “clip” content you find interesting on gnoos, onto your blog/facebook/twitter/tumblr page is important as alot of blog search users want to blog about a topic once they find a relevant weblink. Again, we need to make this easy for gnoos users. Further, with funding, the aim is to create a developer API For gnoos.com.au so for non-commercial use developers can create mashups of Australian blog content eg if someone wanted to create an Aussie Politics Blog Website or Latest entertainment gossip (or overlay a google maps interface with Aussie blog content) This API should also stimulate media publishers who are interested in using Aussie blog content and want a quick way to get to experiment with content before going to market. We’ve been an open source orientated company from inception : Using Wordpress Multi-User and MySql for our community projects with structured blogging and mh-reviews microformats for user generated reviews. On the search side we’ve used Lucene and Postgres running Java. For the mirrored enterprise deployment which runs separately (and doesn’t have the same speed and indexing freshness of gnoos.com.au which we should have fixed shortly) we’re very happy with the Django framework and Amazon web services. Thanks Ben for sharing your thoughts with us. All the best for future. Today we showcase a showcase an exciting and interesting startup, in online business directory search market segment, from Sydney Australia, FreeConnect - Online business directory search with multichannel capability, including VOIP. It is started by John Kennedy and was lunched on May 28, 2008. In my view FreeConnect is definitely a unique service in Australian business directories market segment as compared to other players. It has the huge potential to change market forces. It offers consumers a free way to connect with the business of their choice via (multichannel) telephone, email, sms and VOIP. 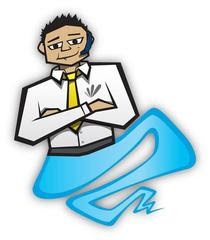 It is also Australia’s first ever VOIP online directory service. It allows businesses to post a wide array of information - everything from their address and contact details to product and service information, photographs, payment options, business history and more – all at no cost. The only payment businesses make is for the actual lead when it connects them with a customer looking for their service. • How does FreeConnect Work? For businesses wanting to purchase leads, FreeConnect operates the same way as a pre-paid mobile phone account, with a $99 advance payment giving the business up to $175 credit which reduces as leads are delivered. Leads range from 40c for an SMS up to $3.00 for a phone connection, with businesses able to specify how and when they are contacted, with options including telephone, email, SMS and more. Consumers either search FreeConnect’s national online database for a business meeting their criteria or type in keywords specifying their location and the nature of the service they need. The service shifts the cost of the connection to the business, with FreeConnect either ringing the consumer back to link them with the business, or sending their details to the company for them to make contact. The service doesn’t cost the customer a cent – they get the right details from the FreeConect website, they don’t have to keep trying different numbers, they just click the FreeConnect button and they are connected to the business free. With FreeConnect, businesses don’t pay to list or promote their products and services. They only pay for the leads that bring new business in the door, which is a results-driven approach that hasn’t been available before now. “For Australian businesses not familiar with the internet and its innovations and those of you very familiar with generating business from the internet can now get calls instead of clicks. FreeConnect is the next logical step. Unlike major search engines that charge per click, businesses can’t lose – they can have a totally accurate and detailed listing, they can decide how many leads they want, when and how they want them, and how much they want to pay each month. They have total control. The ability to specify the number of leads and available times to receive them allows businesses to grow at a rate they can sustain and ensures they don’t receive calls after hours or during holidays. The flexibility of the system enables business owners to suspend customer contact if they’re fully booked, or on vacation simply by changing their preferences online. We know this approach works. We ran a two month beta test of the new service in Newcastle last October and saw our usage levels grow by a massive 126 per cent each day. If a consumer asks for a plumber in Balmain, it’s a reasonable assumption that there’s a job involved. Every connection represents a customer who is pre-qualified as wanting that particular product or service in that area. Think about it longer, ask lots of questions to your mentor and then ask some more!!!!!!! Thanks John for sharing your thoughts with us. All the best for future. In our ongoing coverage of startups coming out of Australia and interviews with CEO's, Media Personalities, Philanthropists, and VC’s, today we showcase a startup in eCommerce segment from Manly, Tjoos.com - Compare Prices For Better Choice While Shopping. It is co-founded by Kim Chen and Bart Jellema. Back in July 2007 my partner and I were looking to purchase contact lenses online. Having done comparison shopping a few times I expected it to be easy to find the lowest price using one of the price comparison sites. We spend all day looking at every comparison site we could find and got some upsetting results. Shopping comparison engines rarely list the lowest price, and if they do it's merely a coincidence. Shopping comparison sites only list stores that pay them, making most sites nothing more than PPC product search sites. Basically the current function of comparison shopping engines is to give consumers the 'perception' of finding the lowest price and thereby facilitating the buying process. We believed there was a market for a quality online shopping portal and started plans for Tjoos.com (pronounced choose). In October 2007 we launched the site with the world's first real price comparison engine. The only category we listed was contact lenses, and to calculate the 'store to door' price we took into account volume discounts, shipping costs, hidden handling costs, taxes and available discount coupons. After successfully launching the contact lens price comparison feature we experimented for a few months and created an online store directory listing over 90,000 online stores, a clothing recommendation engine, some widgets and an extensive coupon code listing. • What is the main mission behind your venture? web. It's free to use and we don't display advertising. More than a million people have already used our site and visitor numbers keep growing. • How often do you catch up with others trying similar things and where do you catch up? Over the last few months we've met many like-minded people and we try to go to at least one event every week. To help others find out what's happening around Australia I setup an open wiki where everyone can share their knowledge on starting up in Australia. • What are your thoughts on being an entrepreneur? We absolutely love it! We live and work in Manly, close to the beach and though we work long hours, we work when we feel like it. For me it is like doing what I would do as a hobby anyway, but now I get to do it full-time. When running your own business, there is none of the big company rubbish, no red tape, no politics. We get to decide what to do and just do it. It's also very exciting to create a successful company out of nothing. Less than a year ago we just had an idea and some crayon drawings. Now we have website with thousands of visitors every day. We are a self funded company. • Which City are you based in? Start! Just get it out there as soon as you can. Don't be afraid someone will steal your idea and stuff like that. As long as you're small nobody will notice, when you're big you're already ahead of the pack. On top of that people tend to not believe in what you do until it works, so just get out there and do it, talk about, get feedback, go to social events such as OpenCoffee, BarCamp, friday night drinks, and many of the other regular meetups happening around Australia. Thanks Bart for sharing your thoughts with us. All the best for future. In our ongoing coverage of startups coming out of Australia and interviews with CEO's, Media Personalities, Philanthropists, and VC’s, today we showcase a startup from Melbourne, Australia, to be lunched in October, 2008, Trickytix - an online event registration company. Trickytix allows a customer to create an account, setup and style their event page and then begin selling tickets without any manual intervention from us. This is all achieved through a self-service interface. Typical events include lunches, meetings, fun runs, cycling or triathlon events, dinners, conferences, etc etc. It will be running under closed beta trial with number of companies from July 2008. My name is Scott Handsaker, and I am the Managing Director and co-founder of Trickytix, an online event registration startup from Melbourne, Australia. My previous experience was in managing IT call centres in Singapore and Malaysia, but I have been working on the web exclusively since 2004 in my role as MD of Hugeobject. Andrew Edwards and myself founded a web consulting company in 2004, and commenced Trickytix as part of that in mid 2007. Hah! Trickytix is the end result of a thousand and one ideas for a web application, some of which we actually started coding before dumping them in favour of Trickytix. We commenced it in April 2007 with the aim of launching a beta within 8 weeks. The need to keep money coming in through consulting work put paid to that launch date, but the build continued throughout 2007 with a successful launch in Feb 2008. Trickytix allows anyone to accept registrations and sell tickets for their event online, without the need to know computer code. It is a self service model aimed at small business, community groups, sporting organisations and not-for-profits in Australia. Trickytix has a number of modules built in which make it easy for event organisers to accept registrations online quickly and easily, as well as make more money from each entrant. These include merchandise, donation and sponsorship modules. We have achieved both these objectives for our first two customers, and look forward to rolling out our solution to the rest of the country. We launched to two larger customers in Feb 2008, with both the Mothers Day Classic and the Million Paws Walk (RSPCA) using our solution to run their online event registrations. Each event is the largest single fundraiser for their respective organisations. Since then we have added another two smaller customers, with another five lined up to commence our closed beta testing program in July 2008. Trickytix has not yet fully launched as a product, but will do so in October 2008. Since we commenced the build we have been blogging for Australian Anthill magazine, and have been featured a number of times in their pages over the last 12 months. Each ticket/registration done through Trickytix is branded with our logo and URL, so many people have found out about us through both the Mothers Day Classic and the Million Paws Walk. Once our full marketing plan kicks into gear we will be utilizing a combination of direct mail, pay-per-click, organic search, media releases, content provision and word of mouth. We take a small percentage of all financial transactions put through the system. This service fee can either be absorbed by the event organiser, or passed onto the ticket buyer as a booking fee. Once we launch in October 2008, free events will be able to use our system at no charge. Doing a start-up is not for everyone, although it is no more difficult in most respects in Australian than anywhere else. Where it gets harder when compared to places like the US is in access to capital, as well as the depth of recruitment resources available. Our experience in seeking Government funding has been poor. The processes are difficult to navigate, while the amount of early stage funding available is quite small. The serious money (6 figures) only kicks in once you have an established, growing business with a few years of operating revenues behind you. We are currently seeking private equity/VC money to fund the expansion of our business, and have teamed up with BSI to facilitate this. I have pitched in Sydney and Melbourne at investment breakfasts, one of which went quite well and one of which I would like to do over again! Fund raising is a lengthy process with no promise of a return at the end of it. We are lucky in that we have a consulting business which can continue to fund us whether we receive funding or not, but yeah funding makes life easier. There are a lot of people more qualified than me to provide advice on doing a start up, so my best advice is to do what I do – read them extensively! Thanks Scott for sharing your thoughts with us. All the best for future. Flogd is an Australian based company which allows anyone to create a shop to sell stuff anywhere you can paste code. Sell from blogs, websites, social networking sites like MySpace. It provides its users with a shopping cart system which handles postage, taxes and processing of the sale. It also partners with other company’s to offer Flogd services natively in other applications. I am a 22 year old student at the University of Melbourne studying a Bachelor of Science/Bachelor of Commerce. I am interested in human behaviour, social and environmental sustainability, and, I suppose, technology. I am a programmer by trade but much prefer strategy and business problem solving - so I do more of it. 6 months. We both took a semester off uni so we could pursue it full time. The main reason for this is because we kept changing (read: improving) our product and our service offering. To ultimately allow people to monetize their web traffic (blogs, websites, etc) with product sales and commissions. Flogd is an integrated and full-feature portable shopping cart system. Flogd handles taxes and shipping costs and has a user-friendly control panel for product, tax and shipping management. Anyone who has web traffic can find products to sell with our partner sites and sell. Customers can also sell their own products either in isolation or with products from our partners. We are targeting people of average technical proficiency, it’s important they don’t need ay specialised computer skills. We’ve tried a lot of different avenues, but the best is word of mouth, particularly through forums. We’ve used Google AdWords and fairly aggressive press strategies. Nothing competes with a recommendation from a faithful Flogd user to a forum. We have a few metrics for this including: the number of users, the number of page views, press, and good-will. There are no Australian competitors. Our main competition comes from silicon valley. It’s challenging keeping up with Silicon Valley all the way out here - but it allows us to constantly improve our product and service for our consumers. Everything except Flash is open source. Web start-ups are not too tough. You need to know the technology in-house. If you have to pay upfront for the initial technology development then it’s going to be expensive and the product will never be exactly as you want it. If you are not tech savvy, find someone who is and partner with them. We never thought of Government resources or funding. Yes, although its easy to bash the government. Rudd seems to value innovation and entrepreneurship and seems to be trying to develop the Australia scene. Brumby is trying to establish Geelong as a new tech centre. We will have to wait and see on that one. I have one business partner, Edward Thomson, and he is amazing. He is very intelligent and a good character, the two most important attributes. He keeps it fun when it gets tough. He is also a very creative fellow and works out hard things like design and usability. Initially, I made sure that I had a lot of people around that I could ask for guidance and advice. The real value of a mentor is knowing when you’ve actually made a mistake - most of the time mistakes are very hard to identify and attribute to yourself. Mentor’s can slingshot you up the learning curve. If you know what you are doing in the web technology scene, go for it. If you don’t, find someone who does. In any case, I’d also advice that people don’t do it alone. Thanks Phillip for sharing your thoughts with us. All the best for future.